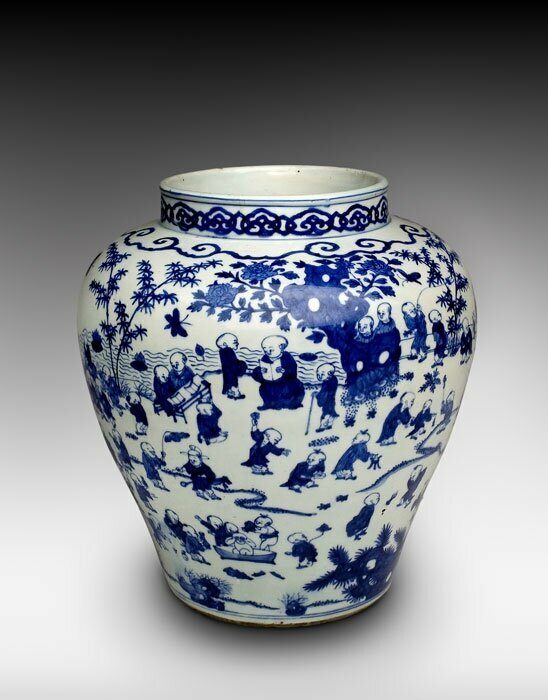 “Hundred Boys” Jar, 1522-1566, Ming dynasty (1368-1644), Jiajing period. Porcelain with underglaze blue decoration. Gift of Mrs. Herbert Nadai and Thomas Beal Jr. in memory of Mr. and Mrs. Thomas P. Beal, 1982. E81696 © 2001-2014 The Peabody Essex Museum.